Over 162,000 former Burundian refugees, who were recently granted Tanzanian citizenship after living in the country for over four decades, will now be able to buy and own land and vote, said a senior government official. The UN Refugee Agency (UNHCR) has hailed the move. Most of the former refugees have been living in camps in the western Tanzania regions of Tabora and Katavi since 1972. “These are now citizens and our constitution provides that a citizen has the right to live anywhere in the country,” Mathias Chikawe, Tanzania’s home affairs minister, told IRIN. Those of their children born in the country will also be allowed to become citizens. “Those to be granted citizenship are refugees who have stayed in Tanzania since 1972 and [who] have voluntarily opted to stay in the country,” added Chikawe, noting that about 10,000 Burundian refugees had not applied for citizenship. “These are maintaining their refugee status and could be repatriated to their home country,” he explained. Tanzania’s President Jakaya Kikwete began the refugees’ naturalization process on 14 October during an event to commemorate the 15th anniversary of the death of the country’s first president, Julius Nyerere. “They have been in the country for a long time and some don’t know where to go if asked to go back to Burundi,” said Kikwete. Many Burundians fled their country following a genocide in 1972, while many more left during the 1993-2005 civil war. 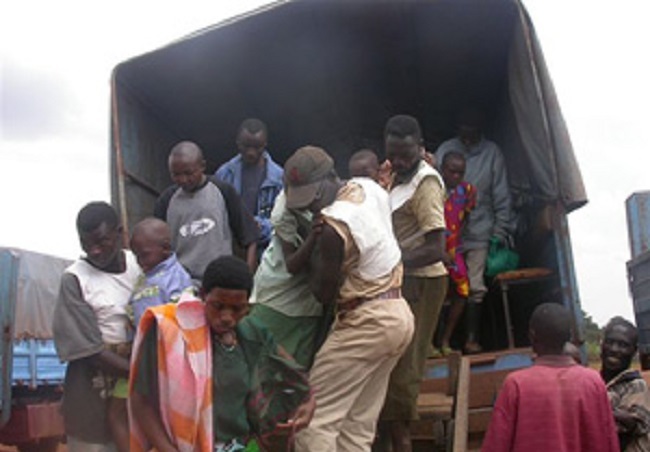 While many Burundians have returned home from Tanzania since 2002, others remained behind, with the host government in 2008 offering either to grant them citizenship or repatriate them. According to Chikawe, former Burundian refugee settlements will now be converted into villages to accommodate the new citizens though some may decide to live elsewhere in the country. This is, however, raising concerns among some Tanzanians. “These villages will mean a single tribe – all Hutus – will appear as islands or another nation within a nation,” said Beautus Chambala, a resident of the area of Mpanda. Most of the Burundians who fled the country in 1972 were Hutus. Minister Chikawe told IRIN that the Home Affairs Ministry could revoke the citizenship of former refugees implicated in crimes such as murder or treason. “We have powers to deal with them and kick them out of the country,” he said. Tanzania previously naturalized 32,000 Rwandan refugees in 1982. In February, it concluded the naturalization of some 3,000 Somali Bantu refugees (ethnic Wazigua from Tanzania) who had fled Somalia in 1991, after civil war broke out, according to UNHCR.